Diamond Wedding band with staggered diamonds set around the bank for a total of 0.28 Carats in 14K Solid Yellow Gold. Band measures 4mm wide and 2mm thick. Also available in 14K White Gold and 14K Rose Gold. 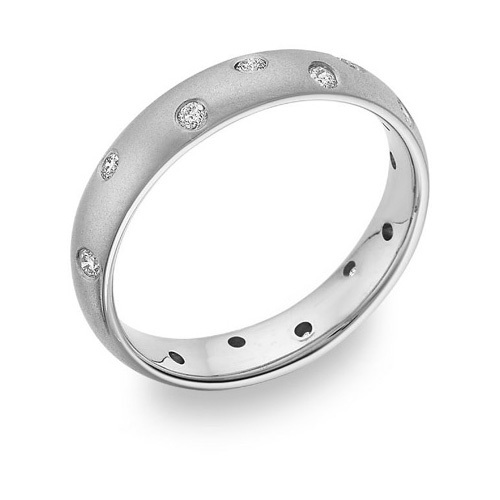 We guarantee our Zigzag Diamond Wedding Band, 14K White Gold to be high quality, authentic jewelry, as described above.